Seasoned roofing companies, such as Rogers Roofing, don’t use multiple suppliers to avoid mismatched materials. It’s more common for inexperienced roofers to inconsistently work with dealers, running the risk of mixing shingles and tiles from different batches. Identical products that were not made together may have subtle cosmetic differences. Collectively, the lack of complete visual uniformity can be obvious even for casual observers, sacrificing curb appeal. One of the worst mistakes roofing novices make is reusing salvageable (but still old) flashings. These strips of metal might still be structurally sound, but you can’t expect them to last as long as their brand-new counterparts. In the end, they’re likely to age more quickly, affecting uniformity and requiring you to replace them soon anyway. Any experienced roofer knows the value of adequate attic ventilation. When the underside of your roof is too hot, the extreme temperature would bake your materials and accelerate wear and tear. Plus, a poorly ventilated attic increases the chances of ice damming and condensation, neither of which is good for roof health. You may be allowed to have more than one layer of asphalt shingles, but it’s only an option when the sheathing is intact. 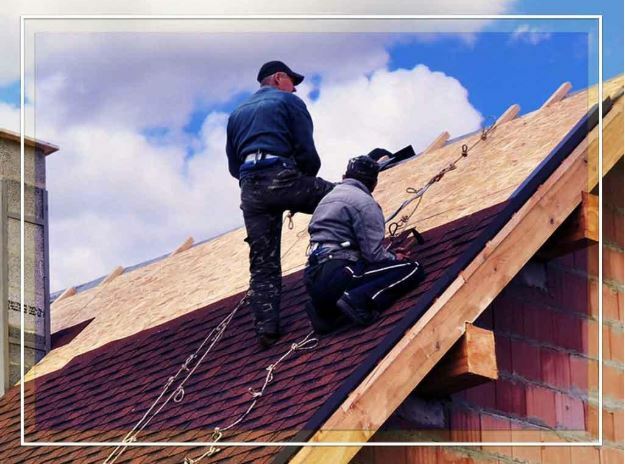 However, less experienced roofing contractors tend to avoid taking every precaution to ensure that there’s absolutely no damage at the time of installation. In addition, they might miscalculate the weight your current roof framing can support. Considering the severe structural implications of having an overly heavy roofing system, it’s best to leave the job to a seasoned company. Rogers Roofing has been serving homeowners since 1968. Over the decades, we’ve established our position as the premier roofer in Northwest Indiana communities like Schererville, IN, and in Chicago. To work with the region’s most experienced roofing company and get a free estimate, call us at (219) 228-8210 or (773) 492-2270 now.